1. 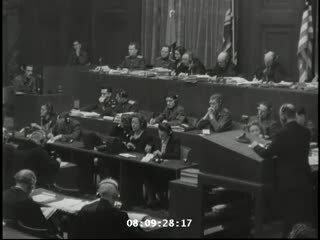 Wladislava Karolewska, one of four Polish women to appear as prosecution witnesses, on the stand at the Doctors Trial. 8. 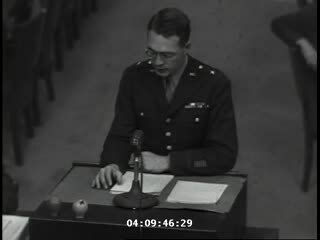 Prosecution witness Dr. Leo Alexander explains the nature of some of the experiments performed on prisoners during his testimony at the Doctors Trial. 9. 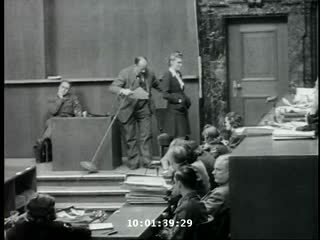 Polish survivor Jadwiga Dzido shows her scarred leg to the court, while expert witness Dr. Alexander explains the nature of the medical experiment performed on her in the Ravensbrueck concentration camp. 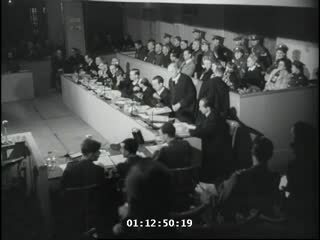 Dzido and Alexander were appearing as witnesses at the Doctors Trial. 10. 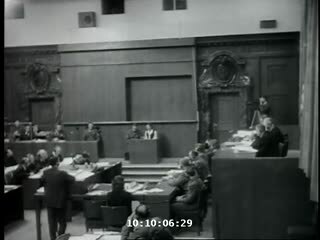 March of Time -- outtakes -- War Crimes Trial: "Butchers of Auschwitz"
11. 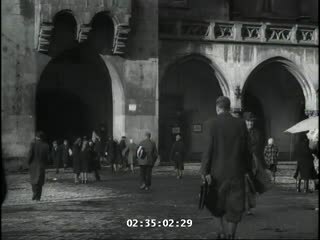 March of Time -- outtakes -- Krakow scenes; War Crimes Trial: "Butchers of Auschwitz"
12. 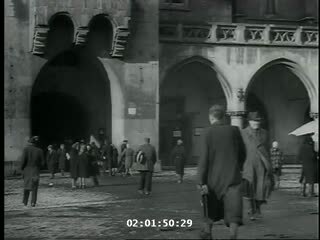 Four Polish women arrive at the train station in Nuremberg to be prosecution witnesses at the Doctors Trial. 14. 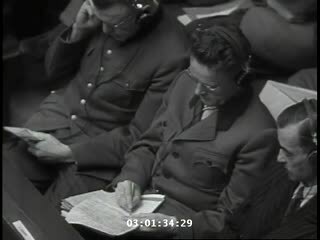 A war crimes investigation photo of Wladislava Karolewska, a survivor from Ravensbrueck, who was subjected to medical experiments with sulphonamide drugs in 1942. 15. A war crimes investigation photo of Jadwiga Dzido, a member of the Polish underground, who was deported to Ravensbrueck in March 1941. 16. A war crimes investigation photo of Jadwiga Dzido, a member of the Polish underground, who was deported to Ravensbrueck in March 1941. 17. 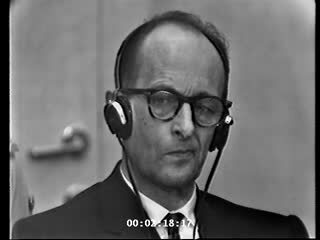 A photograph of the results of a medical experiment dealing with phosphorous that was carried out by doctors at Ravensbrueck. 18. A photograph of the results of a medical experiment dealing with phosphorous, that was carried out by doctors at Ravensbrueck. 19. A photograph of the results of a medical experiment dealing with phosphorous that was carried out by doctors at Ravensbrueck. 20. A photograph of the results of a medical experiment dealing with phosphorous that was carried out by doctors at Ravensbrueck.